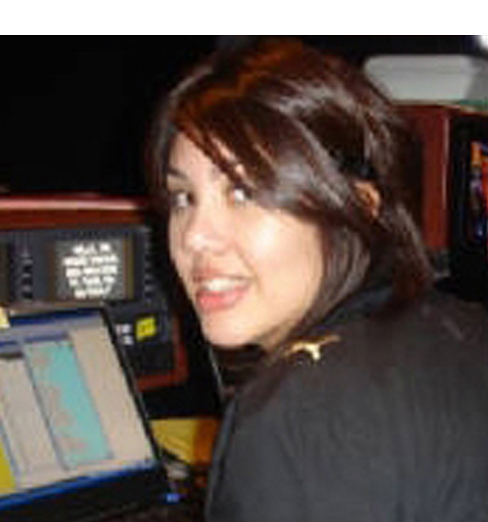 Karina is our primary bilingual operator and a native Spanish speaker. She's been with On Air Prompting since 2003, having come to us with a BA in Radio-TV-Film and Spanish transcription background on the PBS show "American Family." Her prompting experience includes game shows like "Deal or No Deal" and "Don't Forget the Lyrics," talk shows like "Lopez Tonight," "The Queen Latifah Show" and "The Talking Dead," and reality series finales like "The Real Housewives of Beverly Hills." And of course, she's our #1 operator for Spanish language programs like "The Latin Grammys," "The Billboard Mexican Music Awards" and "¡Viva La Familia!" You can find Karina in the Internet Movie Database at http://www.imdb.com/name/nm3355838/. See below for a list of her credits.